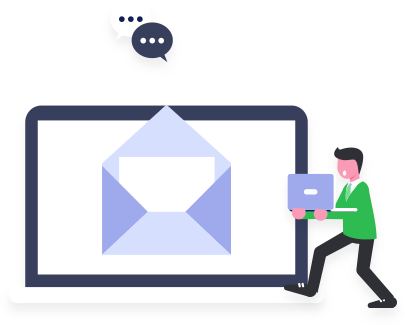 Unified Inbox gathers your entire communication history with guests from multiple Airbnb accounts and other vacation rental platforms. No more logins to different websites and accounts! 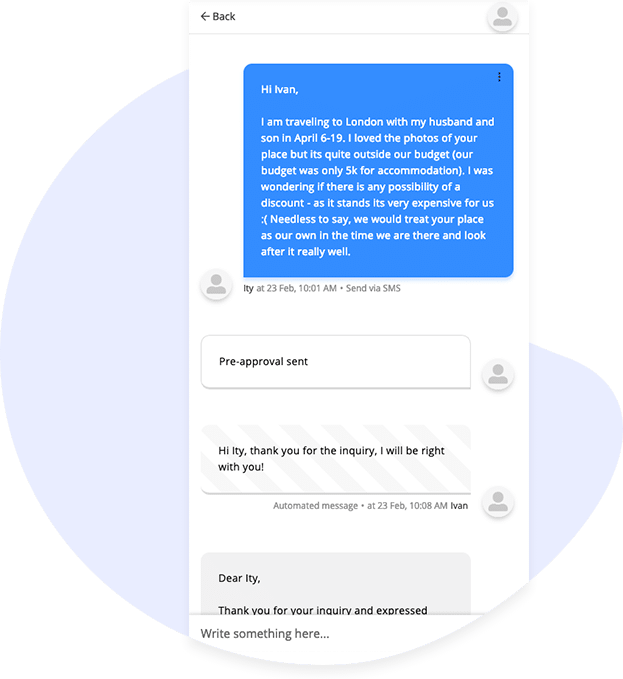 Take your Guest communication to the next level with Automated Messages and Saved Replies. 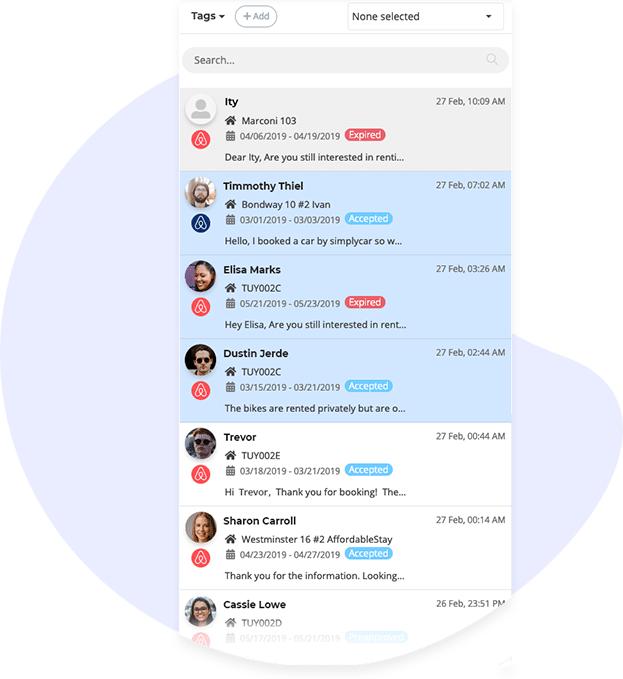 Have all your conversation threads from every channel and your own website synchronized and running on a single platform! No more logins to different accounts and websites, no more juggling emails. Simply one inbox to rule them all. Your team’s time is valuable, so filter your threads with custom tags to simplify communication. Cut down on repetition and prioritize follow-up to deliver outstanding experiences. Search communications for a particular guest, browse by listing, and more. 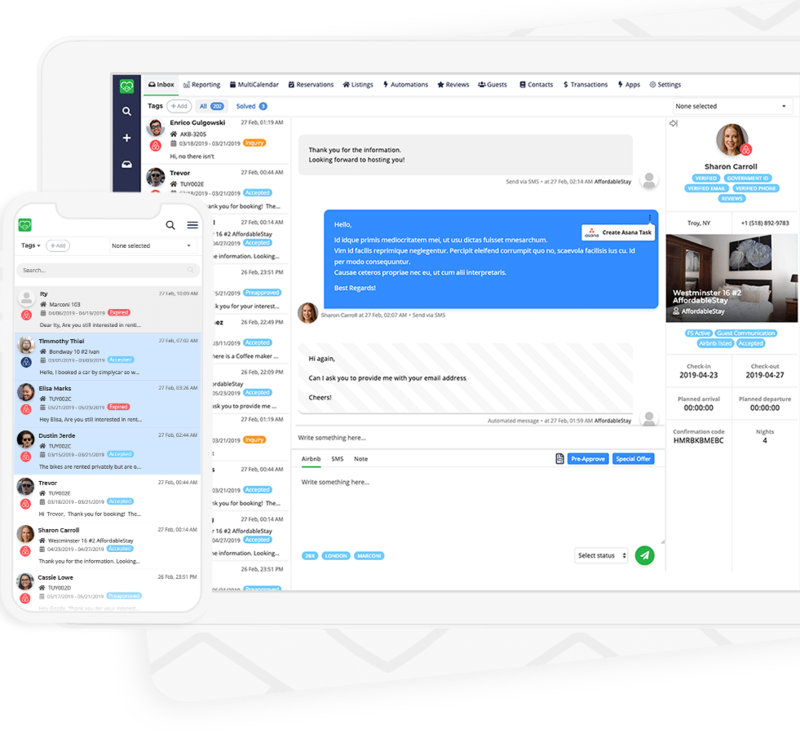 With multi-user logins, you can see who sent each message and when. You can even add an owner login. Want to use the same custom signature on every message to a guest? 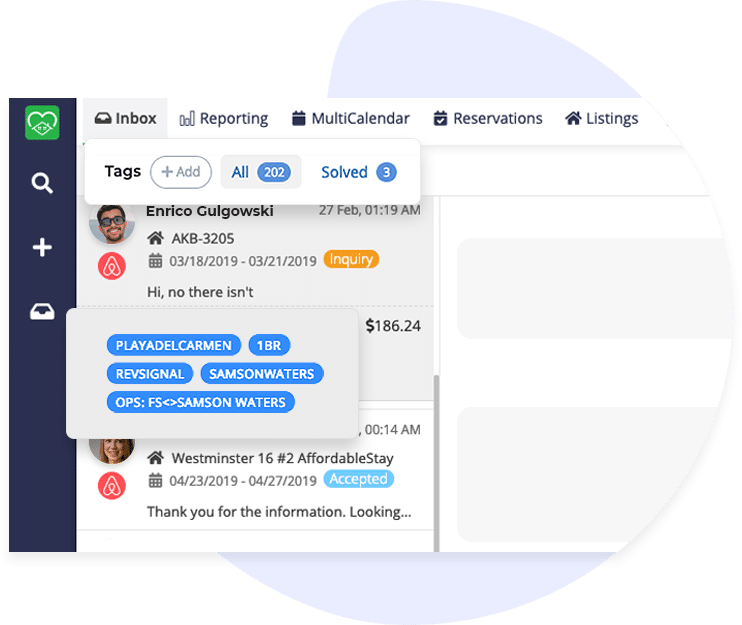 With internal notes, you can have multiple receptionists respond to the same guest and share comments without the guest knowing. Your guest will think he’s talking to the same person for his entire stay, day or night.